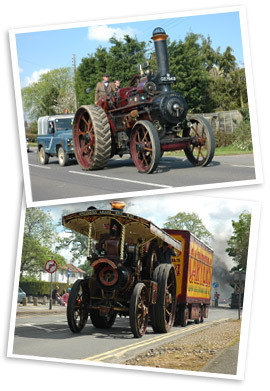 The National Traction Engine Trust encourages and supports road steam by offering financial assistance and bursaries (maximum £500) for those who would like to improve their knowledge and skills so they can help and take part in maintaining Steam on the Road. Look in the heritage journals and prospectuses of colleges and schools for suitable courses. Approach people who already have a skill you are interested in to see if they would be willing to share their knowledge - then fill out the application form with all the details. Applications should be received by 31st July of each year.